The Go! 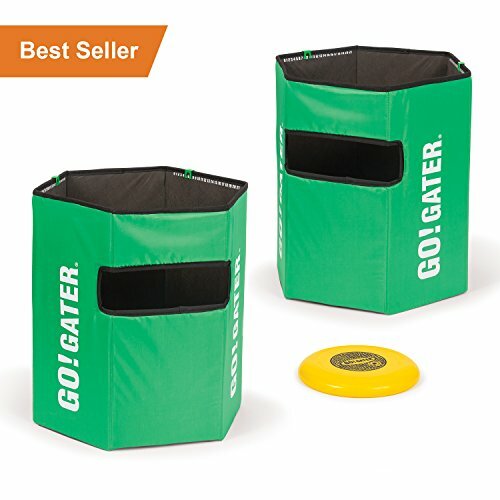 Gater Folding Disc Slam Set is a great addition to your outdoor fun! Set includes 2 folding disc slam targets, 1 Gater flying disc, 1 complete set of game rules and instructions. Go for instant win, or serve it up so your teammate can slam it in. Set up the targets and fling the flying discs in. All-weather material and weighted bases for maximum stability and support. It is sure to keep all of your friends and family entertained for hours at your next BBQ or Tailgate! If you have any questions about this product by EastPoint Sports, contact us by completing and submitting the form below. If you are looking for a specif part number, please include it with your message.